The following information describes the types of electronic funds transfers which are available to members through Online Banking / Internet Access and your rights and responsibilities concerning those transactions, including your rights under the Electronic Funds Transfer Act. You may want to print or save this document for future reference. Please read this document carefully. Some of the information may not pertain to you. Our business days are Monday-Friday. Holidays are not included. 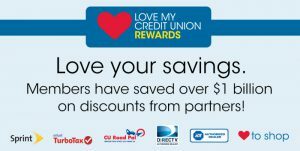 If the end of a calendar month falls on a Saturday or Sunday, the Credit Union will “close its books” for that MONTH after the last business day but before the actual last day of the MONTH. Deposits, withdrawals or transfers made using your VISA® ATM Check Card or Online Banking after the books are closed will be treated for dividend calculation purposes as if they occurred the first day of the next month and will be reported on the statement applicable to the next month. There are no monthly charges to maintain your Online Banking Access with a U-1st Community Federal Credit Union checking account.